Which Coin Price Guide Should I Use?... The Red Book? Or The Black Book? Price guides are an essential part of coin collecting whether you’re a beginner or an expert. Not only do they offer current prices on all of your U.S. coins, but they are also loaded with tons of useful knowledge about coins. Where do you think I learned everything I know today? Only half of it came through actual experience of owning coins. The other half is from reading through several price guides, coin books, and articles on coins. Following are some of the differences between the most popular coin price guides. There are several coin price guides out there made by different companies, however I only use a few so I’m not familiar with a lot of them. The 2 I use most are the Black Book and the Red Book. The Red Book is published by Whitman. They’re one of the more popular distributors of coin supplies, and they are frequently referred to often by coin dealers as a reliable source of information about U.S. coins and American currency. 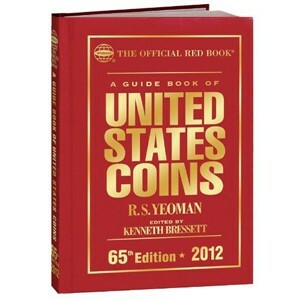 The Red Book offers coin prices as well as hundreds of color coin photos, historic information on coins, and explanations of how to grade your coins. The Black Book is published by House of Collectibles. 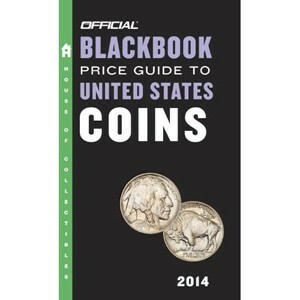 It is sometimes referred to as the Black Book, and it’s also a popular price guide among coin collectors. 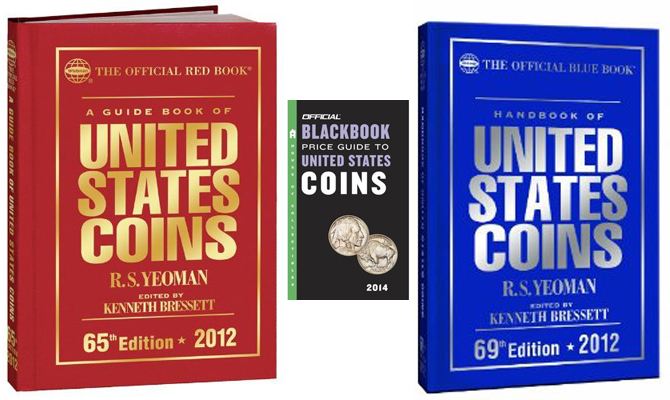 The Black Book breaks down average coin values for all types of U.S. coins and also provides information on coin grading, mintmarks, and other useful bits of coin info, including some detail on coin auctions. There is also a Blue Book, although I’m not sure exactly what the differences are in it. It is published by Whitman — just like the Red Book is. The only difference may be that it is a softback book, and it’s a little cheaper. 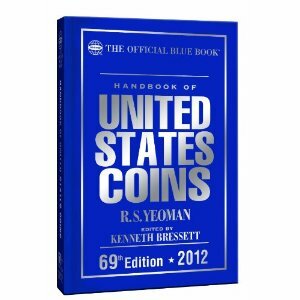 The Blue Book is a coin price guide that informs you on the approximate amount of money you can expect to get if you sell your coins to a coin dealer. Both the Red Book and the Black Book list every U.S. coin ever minted. What is the difference between the Black Book and the Red Book? Well, price for one. The Red Book comes in hardback and spiral editions whereas the Black Book is a soft paperback. You can pick up a copy of the Black Book for about half the price of the Red Book. I prefer the Red Book because it offers a lot more details about the coins, such as where the mint marks are on the coins you’re looking up, close-up pictures of double died coins, close-up pictures of errors on coins, history of the coins, etc. The Black Book also gives a brief description and sometimes a little history, but not as mush information as the Red Book offers. The Red Book also has full color photos, whereas the Black Book only uses black and white photographs. You do not have to use either of these books if you don’t wish. You may find another book that is more to your liking. But my first pick is the Red Book. Inside coin price guides you will find abbreviations such as G, VG, F, VF, EF, AU, MS, PF, BU, etc. So what do these abbreviations mean? G = Good – Refers to a coin with a grade of Good. VG = Very Good – Refers to a coin with a grade of Very Good. F = Fine – Refers to a coin with a grade of Fine. VF = Very Fine – Refers to a coin with a grade of Very Fine. EF = Extra Fine – Refers to a coin with a grade of Extra Fine. AU = About Uncirculated – Refers to a coin with a grade of About Uncirculated. MS = Mint State – Refers to a coin with a grade of Mint State. PF = Proof – Refers to a Proof coin. BU = Brilliant Uncirculated – Refers to a coin or roll of coins in Brilliant Uncirculated condition. Now, there are several levels to each coin grade. Even if the difference between two of the same coin is only one number and not detectable to the naked eye, the difference in price could be a lot. For instance, coin grades will contain levels such as G-4, VG-8, F-12, VF-20, EF-40, AU-50, MS-60, PF-70 and everything in between. Of the coin price guides discussed here, the Red Book tends to be more helpful for beginners when trying to identify the grade of a coin — to some extent. However, being able to accurately grade a coin really comes mostly from experience and a keen eye.